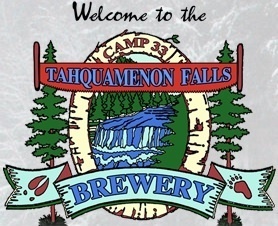 An Upper Michigan Restaurant and Brewery, the beautiful Tahquamenon Falls Brewery & Pub invites you to come and experience a spectacular brewery with fine dining and rustic charm. A special place that echoes the Tahquamenon Falls and surrounding forest. Hours: Brewery open 10 a.m., food served 11 a.m., to 8:30 pm Sunday thru Friday, Sat. open until 9:00.